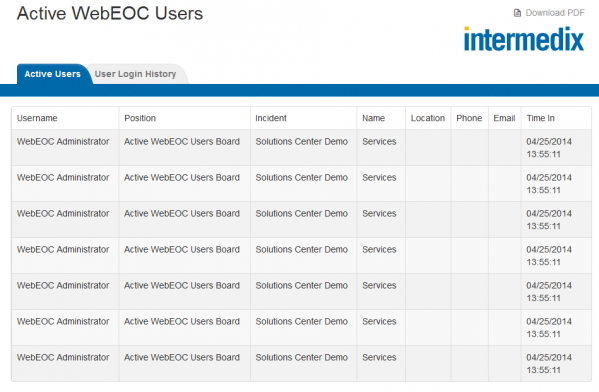 The WebEOC Active Users add-on shows all users currently logged into the WebEOC system. 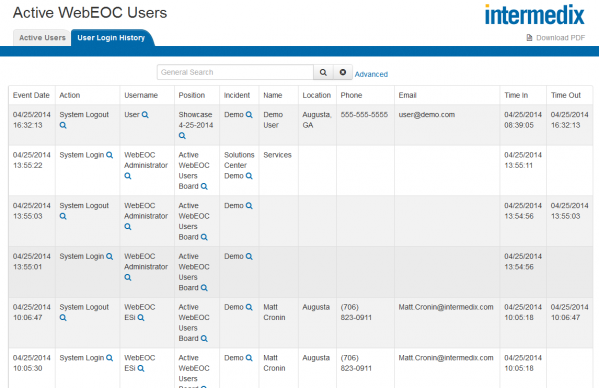 This simple and informative tool allows you to see all personnel who are working in WebEOC at any given moment and makes their contact information readily available. The Active WebEOC Users add-on displays the following user details: username, position, incident, name, location, phone number, email address, and login time. View all currently logged in users and their contact information. Review historical records of all user actions such as logging in, logging out, changing incidents, and changing positions. Export records to a PDF file.